 Home  iOS 10 Jailbreak  Jailbreak iOS 10  Jailbreak iOS 10 Discuss. Jailbreak iOS 10.0.1 for all supported devices leaked on the web. 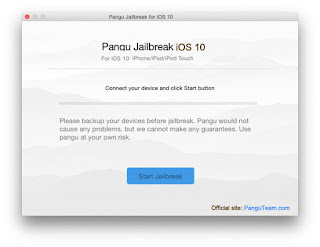 Two days after the release of iOS 10 on the web iOS developer showed a video demonstration of jailbreaking the new operating system. It's the first message about Jailbreak iOS 10. Developer Luca Todesco, who previously worked on the exploits for iOS-devices, showed a jailbroken iOS 10 on iPad Air 2 or 9.7-inch iPad Pro. This video clearly confirms the existence of an exploit for Jailbreak iOS 10. Apparently, we are again talking about semi-tethered jailbreak: Cydia Store with tweaks opened only after jailbreak iPad. iOS 10 is considered the most impregnable OS in terms of execution of arbitrary code. At least, so the firmware, Apple is positioning. To strengthen the protection of the platform was to attract the best experts in the field of information security, including the creators and hackers jailbreak exploits. Nevertheless Todesco clearly confirmed the ability to perform of jailbreaking iOS 10 by the example of the final version of the OS. We know that Jailbreak iOS 10 tool is free for all who want to install last version Cydia Store. More non-news about a selfish jail breaker? Meh, could care less. Switched to android now to much hassle everlasting battle with apple who are surely Winning! Im still on Ios 8. because I have no idea wtf is going on with these jailbreaks anymore. Just chill and be quiet until an easy untethered method is released. Totally agree with you Todd. Gets old. I think they should stop giving the selfish a-hole any acknowledgement! He deserves NONE! It really sounds to me as though the two of you are part of the very large group of individuals who have absolutely no apreciation for people who spend insane amounts of their time looking for exploits they know will eventually be patched by Apple. Just then so ungrateful turds can complain about not having a newer liberated iOS version. In all reality, with all the resentment these guys get for providing a FREE FCK'N JB, i'm surprised all of them didn't just stop providing these releases. Their are MANY MANY inteligent individuals that have their own "private" expoits that they found themselves. And most of them are now doing it because they are tired of waiting for someone else to release one. If you're gonna get so worked up about someone else not releasing THEIR OWN work...GO FCK'N LEARN IT URSELF and find your own exploit. Because comments like the both of yours, total disregard for apreciation, are probably one of the main reasons why Todesco keeps his own exploit. And if you ACTUALLY find your own exploit, keep it to urself and quit ur btchin!! !